Checklists are having a moment. Atul Gawande published The Checklist Manifesto in 2011, but in the last year (give or take) the book has been cited in dozens of articles celebrating the potential of checklists to transform practices and procedures in a diverse array of business and service settings. Hospitals and healthcare providers have implemented checklist procedures to prevent infection and other potential catastrophes to well-documented success. Aviation giant Boeing famously implemented checklists to improve consistency and safety in their manufacturing facilities. Checklists are also commonplace in construction, air-traffic control, and other high-stakes workplaces. Now, less life-or-death business ventures are discovering the benefits of checklists as well. They are a useful tool for promoting organization and efficiency. The process of making a checklist is time-consuming up-front, but it can save time and resources in the long-run by preventing errors. Nobody is perfect all the time. Even the most seasoned experts have moments of distraction or off days. When you’re dealing with a task you’ve done a million times before, it’s easy to go on autopilot, but a checklist prevents mistakes. A checklist ensures more uniform execution of existing procedures, acting as a reminder for experienced professionals and as a positive way to reinforce good habits for newer workers. They can also be used to implement new procedures uniformly and efficiently. As workplace demands get more complex, checklists provide a way to ensure the most necessary tasks are getting done consistently. What’s more, a checklist can be an important tool to promote workplace communication. They can preserve information for other workers completing the same task. 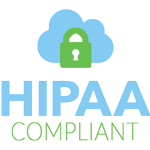 They provide documentation of information and procedures that may be passed between departments. They allow for more efficient planning and response to unexpected events and emergencies. For the most effective implementation of a checklist protocol in your own office or on your team, it’s best to build the checklist through collaboration. The employees who actually perform the task the checklist is designed to address are best suited to design a checklist that fits their needs and goals. Start small, with a goal to improve an underperforming area, which will allow accurate measurement of improvement. 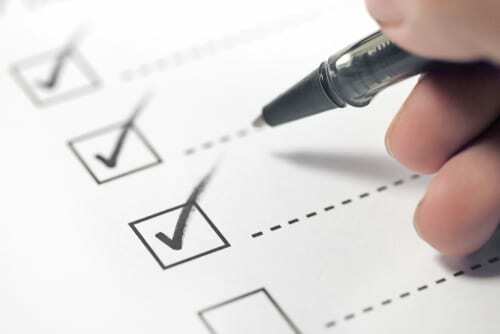 Checklists can be used for any routine but essential task, including administrative work, financial reporting, research, security management, and a host of others. An effective checklist takes a complex task and breaks it down into a few simple steps. Keep the list between five and nine items for best results. Gawande says this number best aligns with human memory. The language of the checklist should be clear, precise, and simple—easy for the brain to process in a busy environment or high-pressure situation. A few apps and services cater to checklist users, including the cunningly named Checklist, as well as Tallyfy and Manifestly. These apps include a subscription fee but offer features to facilitate collaborative use of checklists and integrate easily into other technology you may already be using. Two of the most popular types of checklists are the Read-Do and the Read-Confirm. A Read-Do list provides a series of steps for workers to check off as completed, like a to-do list. This type of checklist should include a “pause point” to use the checklist itself. A Read-Confirm list allows workers to complete the task based on habit and memory. When the task is complete, the worker reads the list to confirm each step has been completed. Despite the tremendous potential of checklists to make a workplace more efficient, they can’t fix everything. You can’t “set it and forget it” with a checklist. Implementation requires preparation and monitoring to ensure success. It’s equally important not implement too many checklists. While experts encourage multiple checklists for tasks that require more than five to nine steps, too many checklists can make experienced workers feel micromanaged and overwhelmed. Careful implementation buy-in and input from the team can help you avoid checklist fatigue in your workforce. For records retrieval, The Records Company offers you a short and simple checklist. Step one: register an account on our online portal. Step two: log in through the portal and fill in your request. Step three: Leave the rest to our experts. Contact us to learn more.